Another week, another major corporate hack job: Evernote reset the passwords of all of its estimated 50 million users last week after it revealed that user passwords and encrypted e-mails had leaked in a hacking attack. And Java’s woes continue, as Oracle has patched two more zero-day holes in the software this week. This is the fifth Java update of 2013 and it’s only the first week of March. These patches probably won’t be the last as Polish researchers claim to have found five more security issues with Java SE 7. Although the TV advertising campaign has wrapped up, Microsoft says it isn’t backing off of its “Scroogled” mission to publicly point out privacy flaws and other issues in Google’s products. Microsoft’s Scroogled Web site and anti ad-bot petition to Google CEO Eric Schmidt will remain. Google, for its part, points out that advertising keeps Gmail and other services free and besides, robots do all the work. Ubisoft’s upcoming Assassin’s Creed IV: Black Flag takes place in the Caribbean in 1715 during the “golden age of piracy” and will be released on October 29, 2013, for the Xbox 360, Wii U, PlayStation 3 and 4, and “all other relevant consoles.” If you want a game to play in the meantime, the reboot of Tomb Raider hit the scene this week and some reviewers are calling it “arguably one of the best games of the year thus far.” The $60 game is out for PC, PlayStation 3 and Xbox 360 now. 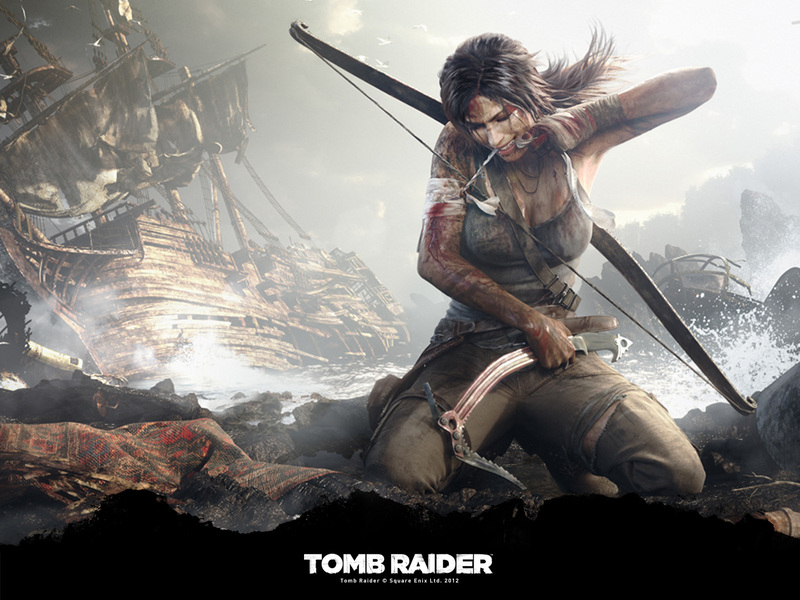 There’s also a $3 iPad app called The Final Hours of Tomb Raider, which includes behind-the-scenes features, concept art, video, photos and other goodies for fans of the game. This just in — teenagers are bored with Facebook. The Verge site also theorizes that “the age of the brag” is over and teens have moved on to other sites for expressing their identities and sharing. In mobile news, Twitter is discontinuing its support for the standalone TweetDeck app for Adobe AIR, Android and iOS and Opera Software has released a beta version of its mobile browser for the Android platform. A report from The New York Times says that the new Samsung Galaxy S4 phone will have a new feature called “eye scrolling.” Will it feel like someone’s watching you as you read? While Microsoft envisions the future of computing, NASA was keeping busy this week with things that were futuristic not too long ago. The Mars Curiosity had a memory glitch last week that caused the rover’s main computer to switch to a safe mode and a backup computer, but scientists at NASA’s Jet Propulsion Laboratory say the rolling robot is on the road to recovery. (The astronomy journalist Stuart Clark reports that disruption caused cosmic rays may be one explanation for the rover’s little brain burp.) NASA also released news last week of a third radiation belt around the Earth. Mars Curiosity was not the only star vehicle having issues lately. The SpaceX Dragon cargo capsule aimed at the International Space Station had a little problem with three out of its four thruster pods not working after it launched last Friday. Thankfully, everything worked out for the SpaceX mission and the cargo arrived at the ISS last weekend, but not every air and space adventure is so lucky. But after 76 years, experts think they have solved the mystery of why the Hindenburg airship caught fire and crashed 200 feet over New Jersey’s Lakehurst Naval Air Station back in in 1937. The culprit? Static electricity.